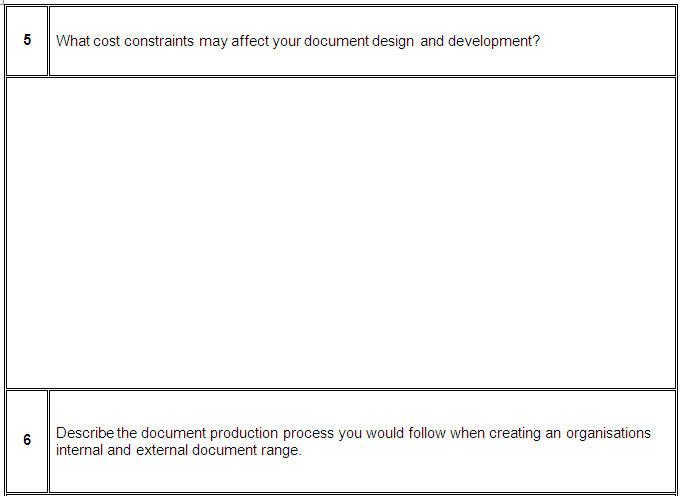 This unit describes the performance outcomes, skills and knowledge required to establish standards for the design and production of organisational documents and to manage document design and production processes to ensure agreed standards are met. This unit applies to individuals employed in a range of work environments who require well developed skills in the use of a range of software packages. 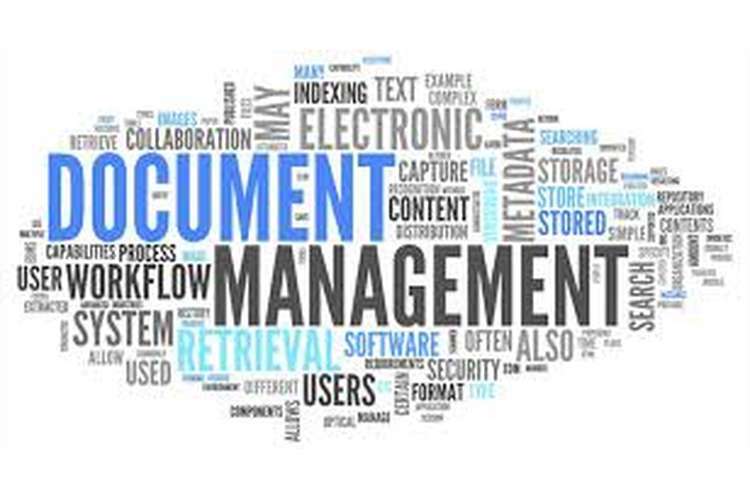 They use these skills to establish, document and implement consistent standards of document design with an organisation. If undertaken on the job – Determine and agree with the supervisor an acceptable time frame for each assessment. This form is to be completed by the assessor and used as a final record of student competency. All student submissions including any associated checklists (outlined below) are to be attached to this cover sheet before placing on the students file. Student results are not to be entered onto the Student Database unless all relevant paperwork is completed and attached to this form. For this assessment you are to assume you are opening a new business. As part of your business development, you are to manage the document design and development to ensure a consistently professional image to your organisation. You will be observed conducting a short training session on a colleague (or on your assessor) on how to use your templates and standards. This is requires you to determine how you will implement your style guide into your organisation, and how you will monitor their use. In your training session, your student is to use at least two of your templates and write documents on behalf of your company. Don’t forget to use this as an opportunity to improve your style guide / templates for future use! In submitting this project, you are to include a copy of your explanatory notes, training session details, and completed learner documents. Students may consider the following types of documents to be included within their style guide: Business letters; Emails; Instructions and procedures; Manuals; Publications; Leaflets; Brochures; Reports; Speeches and presentations; Submissions tender documentation and public notices, etc. Two sample style guides have been supplied as a reference / benchmark for these assessments. 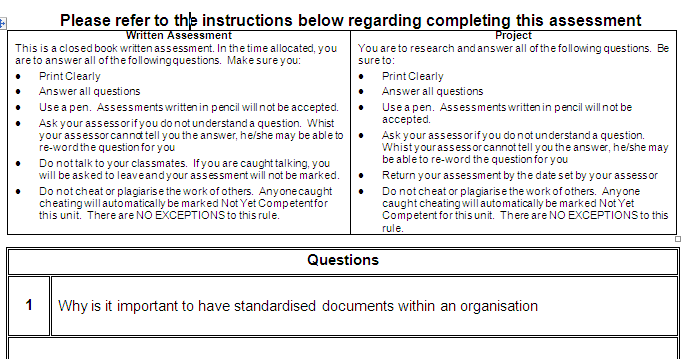 Please refer to the checklist for the expectations required for each template provided by the student. Each student is to be observed conducting a short training session on a colleague (or on the assessor) on how to use their templates and style guide. This is requires the student to determine how they will implement your style guide into their organisation, and how they will monitor their use. Whilst conducting the training session, the students’ learner is to use at least two of your templates and write documents on behalf of the proposed company. Don’t forget to use this as an opportunity to improve your style guide / templates for future use! In submitting this project, students are to include a copy of their explanatory notes, training session details, and completed learner documents. Set a date for this assessment and advise students of the topic. Assess the candidates’ submissions / observations using the following checklist. 1. Set a date for this written assessment. 4. Set ground rules including no phones, talking, books, etc. 6. Allow time for reading and questions before commencing assessment. 7. Once assessment has commenced, no communication between students is allowed. 9. Remember – assessments are a participatory process, so you can help re-word questions, but be careful NOT TO LEAD. We are assessing the students, not you! 11. In the event that a question is not answered correctly, discuss the response with the candidate to determine if the student did not know the answer, or did not understand the question. 12. In order to achieve competency, all questions that are mapped in the associated mapping document MUST be answered correctly. Provide student the opportunity to ask questions prior to starting the assessment.